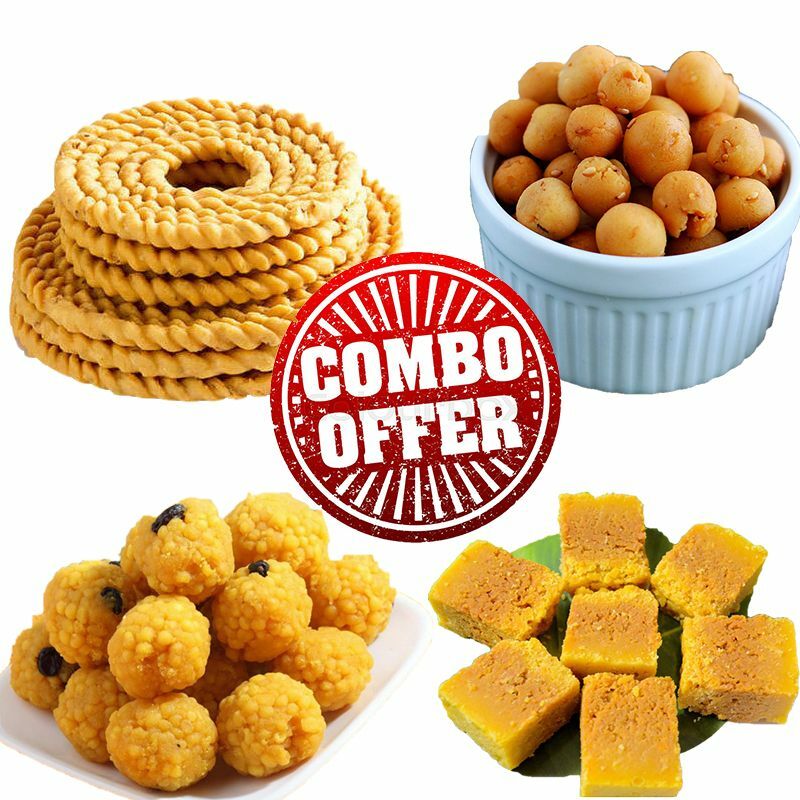 This amazing pack contains 4 pack of sweets and savouries which are native to southern India. These sweets are widely consumed during festivals and distributed as gifts during such times. Get them gifted to your loved ones anywhere across India with OYC.